Ships tomorrow if you order in the next 22 hours 13 minutes. 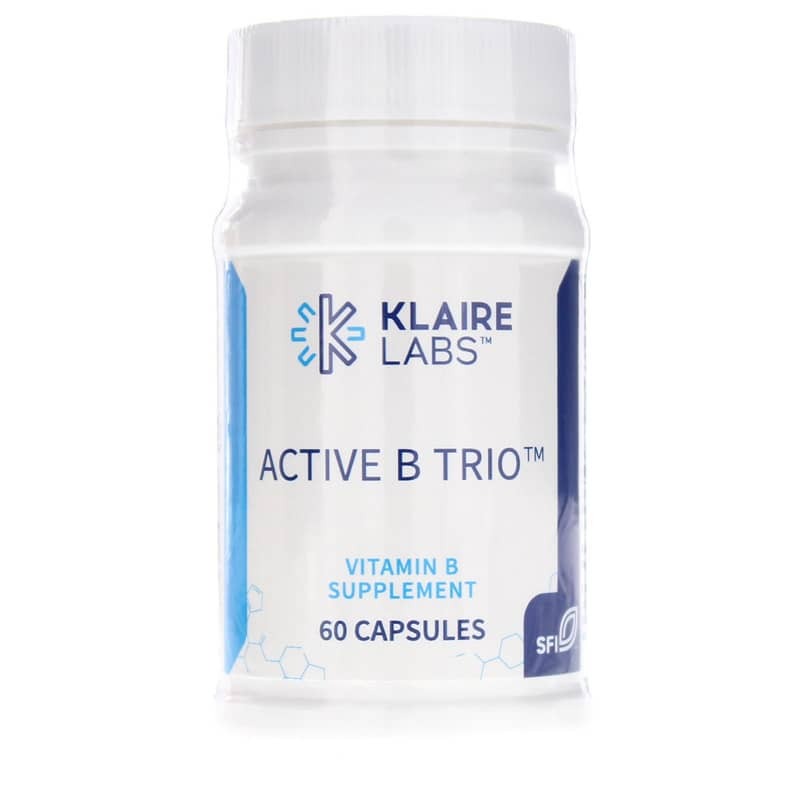 Active B Trio from Klaire Labs supplies activated forms of vitamin B12 (methylcobalamin), folate (5-methyltetrahydrofolate) and vitamin B6 (pyridoxal 5'-phosphate) for enhanced absorption and bioactivity. Activated B12, folate, and B6. Provided as small easy-to-swallow vegetarian capsules. 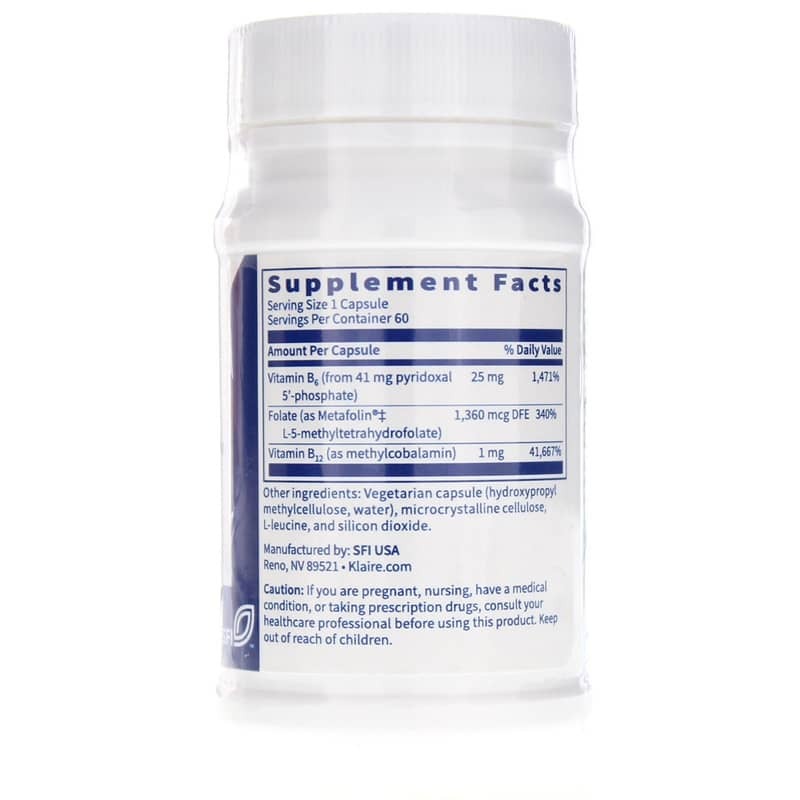 All three of these B-vitamins are essential for optimal health and numerous reactions in the body, including brain and nervous system function, homocysteine regulation, and nucleic acid synthesis. 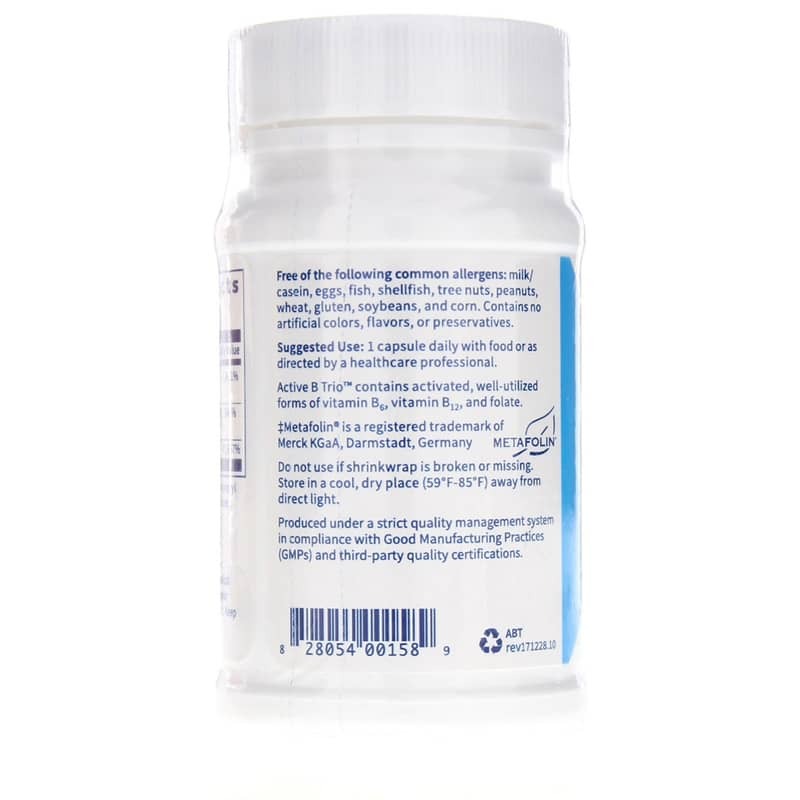 Other Ingredients: Vegetarian capsule (hydroxypropyl methylcellulose, water), microcrystalline cellulose, L-leucine, and silicon dioxide. Contains NO: milk, casein, eggs, fish, shellfish, tree nuts, peanuts, wheat, gluten, soybeans, corn, artificial colors, flavors or preservatives. Adults: 1 capsule daily with food or as recommended by a healthcare professional.